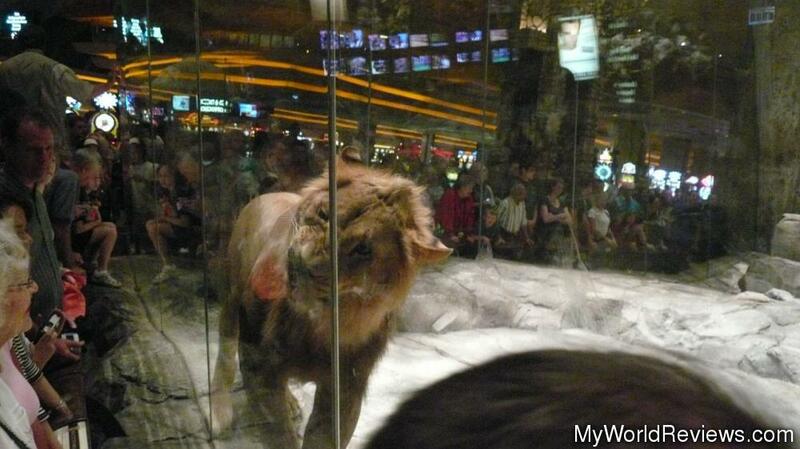 The Lion Habitat at the MGM Grand Casino is a free attraction offered by MGM Grand. For most of the day, there is at least one lion lounging around in the habitat. Lions sleep between 18-20 hours a day, so the lion is unlikely to be moving when you visit them. To keep the crowd interested, at certain points during the day, the lion trainers will enter the habitat for the lions feeding time. During the feeding, there is one trainer per lion who throws meat pieces at the glass so the lion will jump on the glass and eat the meat. This is an excellent photo opportunity for everyone watching. Unfortunately, the lions move very quickly, and it's difficult to get them completely in focus. During the feeding time, there is also one trainer who talks about the lions, and provides lion trivia and information. For example, at the time of visiting, the habitat contained 27 different lions (each lion only visits for one day at a time - they are on a rotation). 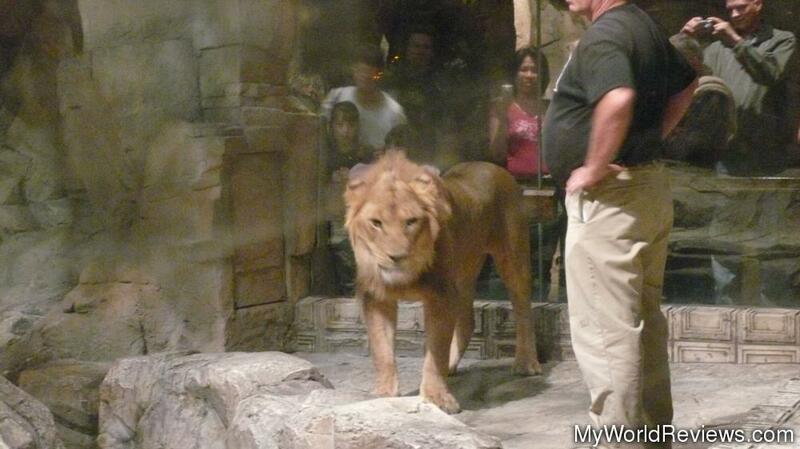 Most of these lions are descendants of the original MGM lion (seen in the videos). 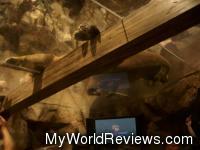 There is a gift shop next to the lion habitat, and there is a covered area in the habitat that you can walk through. Although this may not be the best free attraction in Las Vegas (that would have to be The Fountains of Bellagio), it's definitely a great place to visit. If the lions are active with the trainers, it can be quite entertaining. (Show quality and times can vary - as one of the trainers said, it's very difficult to get a 300 pound lion to do something they don't want to do).